The digital revolution has changed our everyday lives and created new possibilities for private life and business. Digitalisation makes many everyday activities more convenient, improves the availability of public services, and creates the necessary conditions for a simplification of business processes. Across the world, the shipping sector is demonstrating a trend towards bigger vessels, greater efficiency, more innovative solutions, and an eco-friendly way of thinking. All of this can be observed in the Baltic Sea region. Together with its partners, the Port of Tallinn has spearheaded a number of initiatives aimed at using digital and smart solutions to minimise the amount of time spent by passengers and shippers, significantly reduce the traffic load and air pollution created by trucks, and eliminate unnecessary bureaucracy from the processing of logistics data. We aim to be the most innovative seaport in the region, offering the best possible environment for our customers. With this goal in mind, we plan to develop a simple service environment for passengers, operators, shippers, freight forwarders and anyone else working in the port. This environment will be free of technical and bureaucratic obstacles and unnecessary procedures. The closer our processes get to a once-only data entry system, the more efficient and competitive our business becomes. 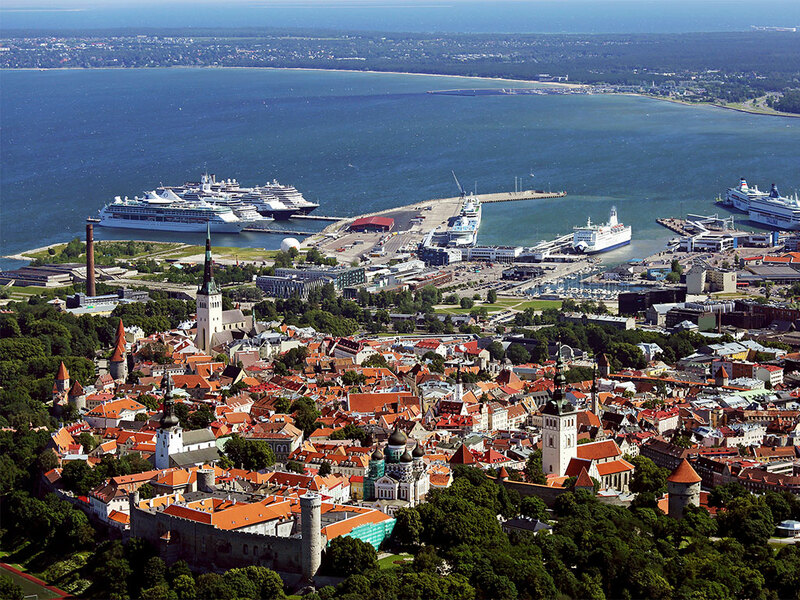 Aside from the renovation of the infrastructure of Tallinn’s Old City Harbour, which boasts record passenger numbers every year, and the construction of new traffic solutions, we have launched the ‘smart port’ project, the main goal of which is to offer passengers travelling with and without vehicles, as well as shippers, a better user experience. Its main components include simple check–in procedures, shorter waiting times, and efficient waiting lines for vehicles and trucks. In order to test the pilot project of the smart port development, we have launched a solution that allows us to avoid the accumulation of vehicles in the port. Currently, vehicles bound on ships usually have to first park in the port, with simultaneous boarding inevitably resulting in traffic jams. When the real-time waiting line system is implemented, trucks will stop on the outskirts of Tallinn and will then be directed by the system onto vessels, allowing shorter waiting times and reduced traffic loads. This has the additional benefit of minimising air pollution. The parties involved in the project include the port itself, shipping companies, road carriers, the city of Tallinn, and customs operators on the either side of the gulf. Another, perhaps even more ambitious, long-term initiative is the digitalisation of logistics data and the creation of a data exchange standard common to all members of the logistics sector’s value chain. This will minimise unnecessary bureaucracy and ensure significant financial savings. Just as in any other field, all parties in the Estonian logistics sector have largely transferred their day-to-day activities to digital platforms. Agencies and businesses already have well-functioning digital solutions. A bottleneck, however, occurs at places of interconnection between such systems. The solution here is core digital infrastructure similar to the Estonian X-Road state information system exchange layer, but designed specifically for the logistics sector. Today, maritime information on vessels, cargoes and passengers is readily available. However, shared information on the processing of goods, as well as railroad and road transportation, is lacking or not present at all. This means that, for instance, operational data on the movement of cargoes in terminals and the movement of railcars is largely communicated by telephone or email, duplicating data that already exists elsewhere. In the digital age, when we are accustomed to buying electronics or consumer goods online from overseas, or booking a ride home from a restaurant with a single click, duplication of data is, at best, annoying. In the bigger picture, however, such duplication weakens the competitiveness of the Estonian economy as a whole. Together with its partners, the Port of Tallinn is working to make this a thing of the past.